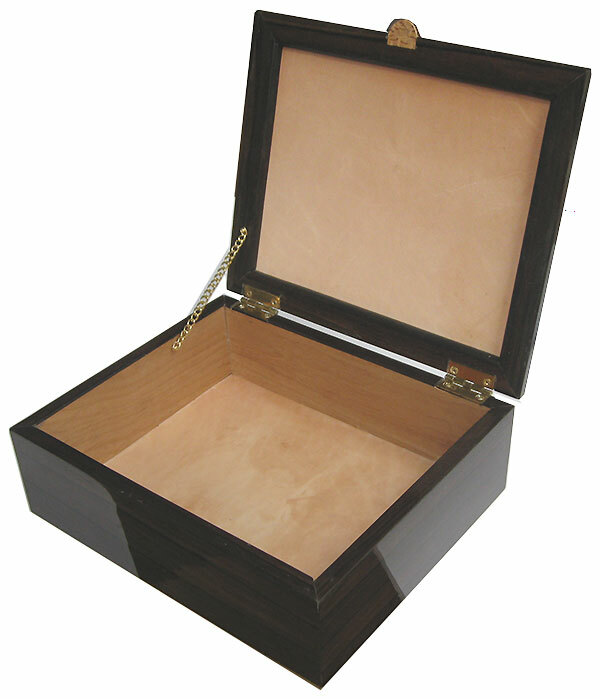 This box is no longer available. 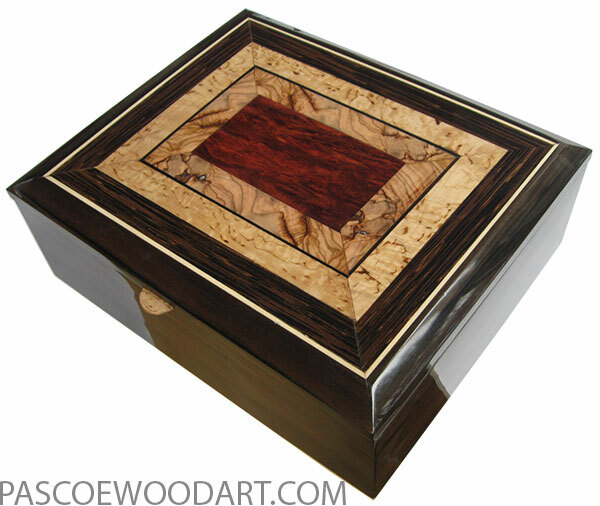 10-13/16" x 9" x 3-3/4"
9-13/16" x 7-15/16" x 2-3/4"
This box is 1/8" thick macassar ebony laminated over alder. 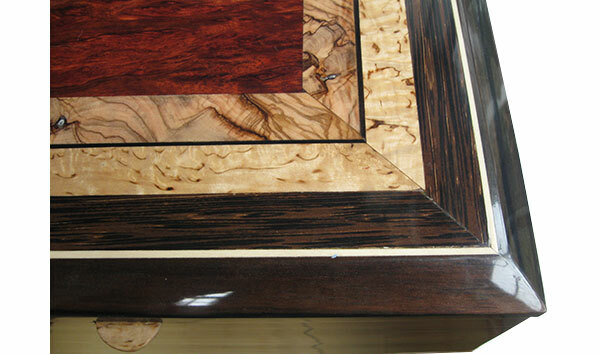 Top is mosaic of bloodwood burl, Mediterranean olive, masur birch with with ebony and holly stringing. 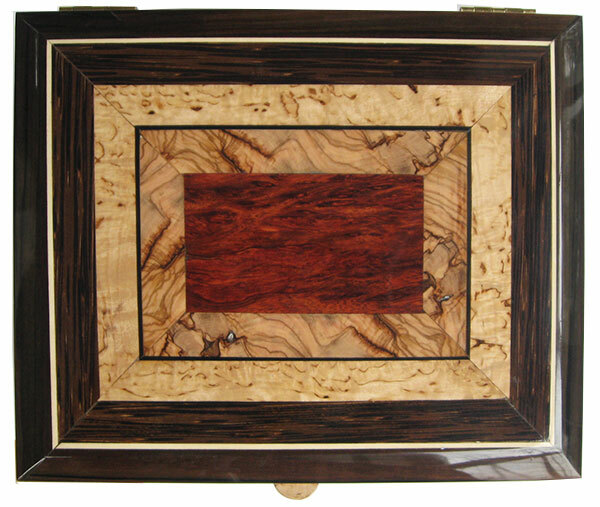 Indivisually handmade wood box, made of macassar ebony with mosaic top of bloodwood burl, Mediterranean olive, masur birch.. 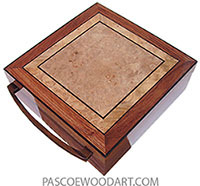 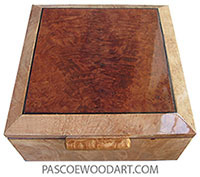 These boxes can be used as valet boxes, keepsake boxes, or all purpose boxes. 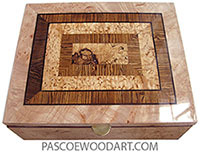 They will make unique gifts for all occasions, fine home decor or office/desktop accessories.